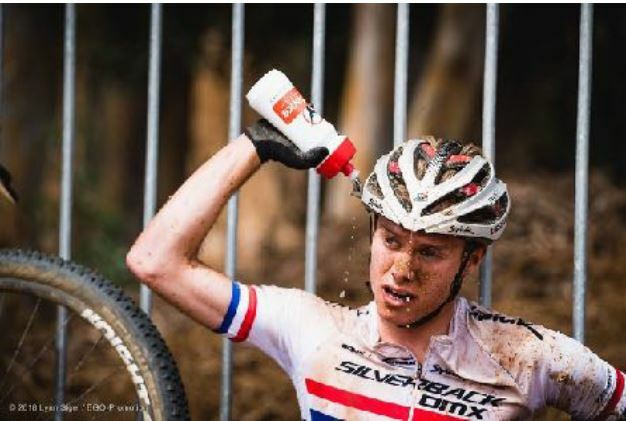 He has been National Champion for the last four years, and is competing on the world stage in World Cup events, and has already had several top ten finishes in the Elite U23 races despite being 20 years old. The sole focus of April was all around the Commonwealth Games Gold Coast 2018. 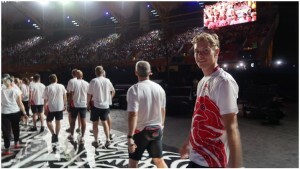 It was only until I arrived in the athlete village that I realised how big the whole event was!! It was a little overwhelming to begin with, seeing so many athletes in such a small place and everyone being so focussed. The first reality check came in the opening ceremony which really opened my eyes as to how vast the whole thing was and how many people all over the world would be watching the competitions. I adjusted to the times zone straight away which helped and then quickly got over the tiredness of the travel in the first few days and started training pretty quickly up on arrival. I arrived 2 weeks before my race and the course only opened for practice 6 days before the race so I had some times to train on the roads and enjoy the scenery that the Gold Coast had to offer which was amazing! My preparation in South Africa went really well so I was confident that I was in good shape but I had no idea what to expect with a race where the standard was so high yet the field of riders was so small with only 21 men starting. The Race: I didn’t get the best positioning off the start, I was 6th into the single track and straight away on the firsts descent a gap opened up to the front group of 4 riders to 30 seconds. From here on I was in a group of 3 for the majority of the race. We got close to the front group at one point but worked too hard to get there and the pace picked up as we did so couldn’t hold onto them for long. In the end it was a battle for 5th place and I managed to come out on top beating a Canadian in a sprint finish. Looking back i’m pretty happy with the result considering the race didn’t go perfectly to plan. After the race I had a couple of days to enjoy Australia and some time off the bike before flying back home and getting back into training and straight into a National Series round at Dalby forest a week later. I finished 2nd Elite at the National round which I was pleased with as it came down to a last lap battle and I simply just didn’t have the top end due to the time off the bike and travel the week prior. the experience of going to the Games by far made up for this! Spending the whole month in Stellenbosch, South Africa has been amazing. My main focus for the month was the World Cup on the 10th March. Leading into this I had a week or so of heavy training and then started to taper onto it and before I knew it I was stood on the start line with 15 seconds to go! It came round so quick. 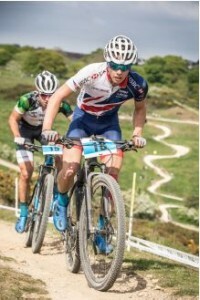 I had been pretty excited to get the racing underway with it being my first race of the season, I was also nervous as I had no idea whether my winter training had been good enough or where I was going to be at. I had been feeling really good on track leading up to the race and the course was super fun to ride round in practice but I had a feeling it was going to be a little less fun and a lot more painful when racing. When the gun went my initial start was good but 100m down the track it kicked up into a super steep, short hill where the peloton bunched up and I got caught slightly in a crash to the side of me, which meant I lost touch to the front group. After chasing back I found I had lost more places than I thought and it had all bottle necked and came to a standstill when we got to the single track, so from there onwards I was always going to be playing catch up. I tried super hard to close the gaps within the first lap while they were still small but I didn’t get very far and spent a lot of energy in the process. I then slipped back to 26th and took a couple of laps to get into a rhythm before I rode through to finish 12th. The day after the World Cup I raced the famous Cape Town Argus which was a super cool race to be part of. I wasn’t there to be competitive so it was more of a training ride with closed roads so I had a bit of time to enjoy the ride. Three days later I then took part in a 30 minute charity race in Kayumandi which is a township just outside of Stellenbosch. it was packed with a world class field with lots of riders still in town following the World Cup so it was exciting to be lined up against some of the top guys. In the race I set off way too hard and blew up pretty quickly to finish mid-teens, so that didn’t go quite to plan but oh well!! After my little block of racing was over I have had full focus on the Commonwealth Games. While writing this I am actually on my way to the Gold Coast so I’m super excited to touch down and get involved in my first major games. Training towards it has going pretty well out in South Africa so I look forward to seeing what the racing brings . . . I will start with an overview of my winter training period: my winter training was spent mostly in Manchester with a lot of miles on the road bike and in the gym at least twice a week, which has been the same the past two years now and it has always seemed to work pretty well for me so I decided to keep it the same. Six weeks before Christmas I got ill with tonsillitis and was put on antibiotics for the first time ever. Usually I am pretty good at listening to my body and knowing when to get back into training after illness but I had never experienced how the antibiotics leave your immune system so weak. As a result of this I caught 3 different illnesses and had to take 2 out of 6 weeks off the bike in the months leading up to Christmas as I wasn’t letting myself fully recover before returning to training which was a big setback for me but also a massive learning curve. Putting my illness aside, once the new year started I really got my training back on track and it felt good to be banking some proper work on the bike and in the gym – this time the rides being a little shorter with intervals and a little more miles on the mountain bike – with the first World Cup in South Africa on the 10th March being the main focus. In January I raced the National CX champs in Durham to kick off my intensity training. Surprisingly I felt really strong but because I has just focused on my training and nothing else I had not been looking after my body enough and as a result I suffered really bad back pain to the point where I was struggling to push on the pedals which forced me to retire from the race, which is never something I enjoy doing but in this case it was the best thing for me. 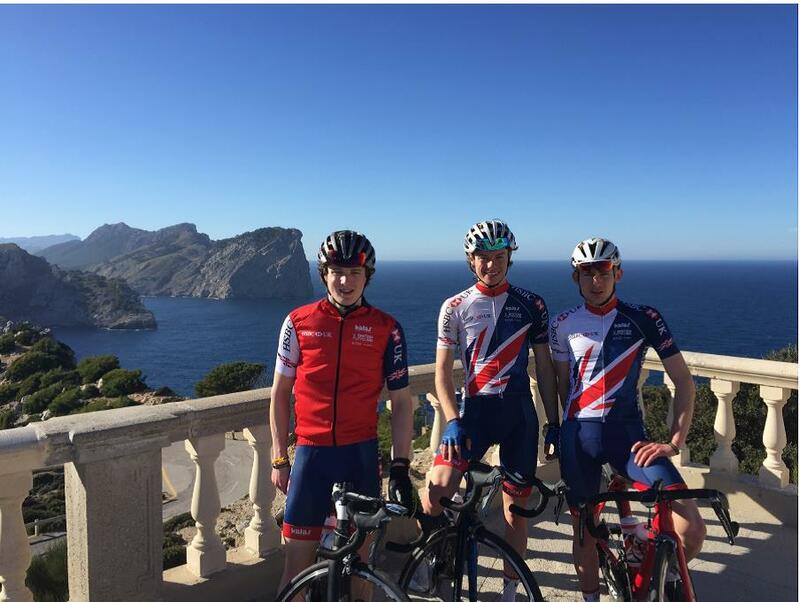 Off the back of that race I flew out to Mallorca for a 10 day training camp with the U23 GB MTB academy guys which was mega! The camp was super tough with a lot of miles but morale was high as you can’t beat good weather and good company while out on the bike . 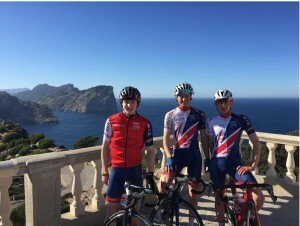 . .
Back from Mallorca I spent a bit of time between my home (Whitby, North Yorkshire) and Manchester until it was time to fly out to Cape Town, South Africa to start my preparation for the first World Cup event. I am out here now and it has been great so far! I was struggling to adjust to the heat to start with, heading out to train at 7am to try to avoid the heat as it can get up to 35 degrees C in the middle of the day which is super hard to ride a bike in – never mind complete a training session.